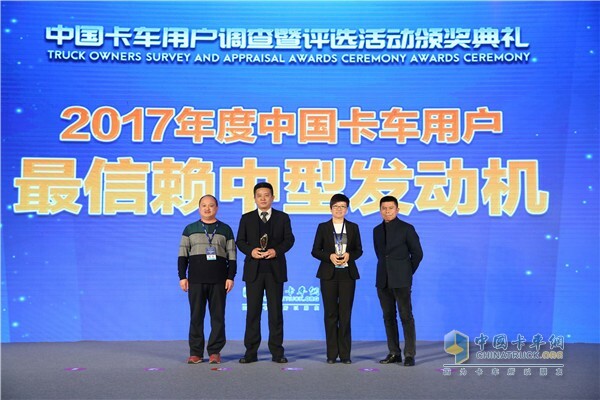 www.chinatrucks.com: On February 21, 2017, the Second “Discovery&Trust--Truck Owners Survey & Appraisal Awards Ceremony ” organized by Chinatruck.org is successfully held in Beijing. 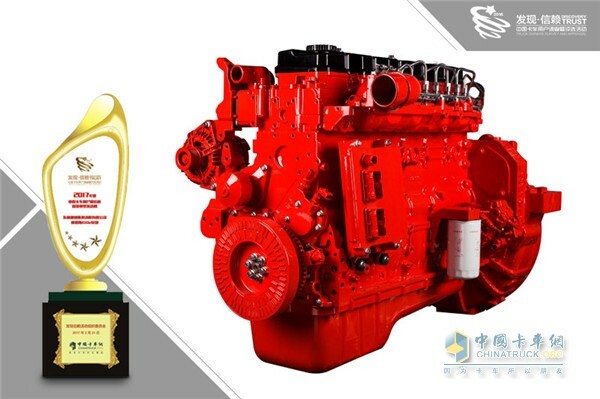 Dongfeng Cummins ISDe4.5 engine wins the award of “2017 Most Reliable and Highly Efficient Medium Engine Prize” thanks to its excellent overall performance and sound reputation in the market. Dongfeng Cummins engine is widely used in many brands such as Dongfeng Tianjin, Tianlong, Dongfeng Liuzhou Motor, JAC etc. ISDe4.5 engine is the general name of engine with 4.5L displacement. Dongfeng Cummins’ 4.5L diesel engine operates on the same platform. It shares the same production platform with Dongfeng Cummins’ 4.5L diesel engine. The two engines are produced to meet different market demands through different calibration. The rated horsepower of ISDe4.5 is between 140P - 185P, and the torque is between 550 Nm - 700 Nm. It adopts 4-cylinder design equipped with charge intercooler. Its power enables different light- and medium-size trucks and special vehicles cases. It’s worth mentioning that ISDe4.5 engines uses the third generation of BOSCH HPCR system, a mainstream system in the diesel market, further improving the low-speed performance, fuel economy, cold start, and emission level. Its core part high-pressure fuel pump can gain power from crankshaft to raise fuel’s pressure to 1800Bar, then the high-pressure fuel will be injected to cylinder via the injection system. The 1800Bar pressure makes atomized drops much finer, enabling combustion faster and more sufficient, and eventually providing stronger power and more excellent thermal efficiency. ISDe4.5 engine’s intelligent control system, its fuel injection system and combustion system combine jointly to ensure the best fuel economy and power in various conditions.